Excepting salad vegetables and root crops, vegetable plants should produce leaves and vegetables. The leaves help the plants to produce energy through photosynthesis and shade the vegetables from sunburn. 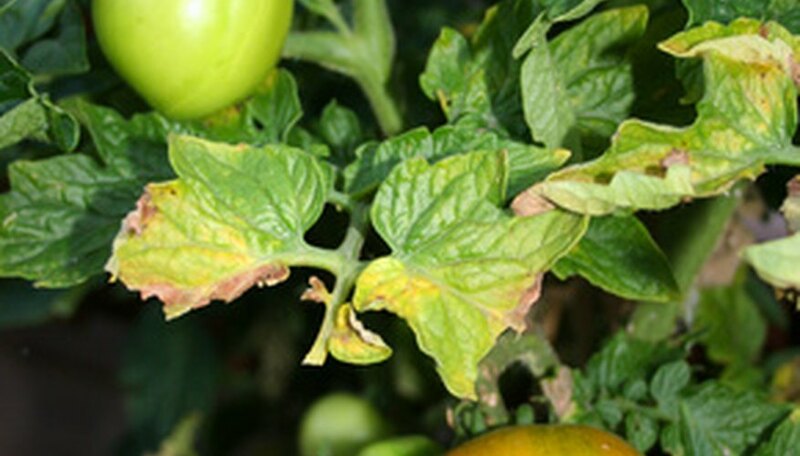 If your plants produce plenty of leaves but no vegetables, it may be indicative of a larger problem. Troubleshooting a lack of vegetable production can help resolve the problem. Vegetable plants need a minimum of six hours of sunlight daily to produce new vegetables. The plants use sunlight to create starches, sugars and carbohydrates they use for energy. As plants receive fewer hours of sunlight, they will produce fewer vegetables. Plants that grow in deep shade will produce no vegetables. Warm-season vegetables such as tomatoes are less tolerant of shade conditions than cool-season vegetables, such as peas. Many vegetables have an optimal temperature in which they will set vegetables. Once temperatures deviate, the plants no longer will pollinate or set vegetables. For example, tomato plants no longer produce blossoms once summer temperatures climb to more than 80 degrees Fahrenheit. Pollen produced by plants such as summer squash becomes sterile once temperatures climb into these ranges. Plants that survive summer heat often will produce vegetables again when temperatures fall in late summer or early fall. The wrong fertilizers can encourage foliage development to the detriment of vegetables. For example, fertilizers high in nitrogen facilitate the abundant production of green foliage. Fertilizer high in the other two major nutrients, potassium and phosphorous, will help with energy transfer, plant maturation and root development. Plants need some nitrogen, but the nutrient levels should be proportionate to the other major nutrients in the fertilizer. The best food for vegetables are general purpose, balanced fertilizers such as 10-10-10. Some plants will produce fruit only if they are continually harvested while the vegetables are young and tender. When the fruit begins to mature on the vine, and the seeds inside the vegetable also mature, it releases hormones into the plant that halt fruit production. To keep plants such as cucumbers producing vegetables, one must continually harvest them as soon as they ripen. Vegetable set also may be inhibited by drought conditions. Vegetables typically have a high water content. When the plant undergoes drought conditions, the plant shifts into survival mode. In addition to lack of vegetable production, the plant's canopy may die back. If the plant receives adequate water before it dies, it will produce new shoots and blossoms, then set and produce vegetables again.